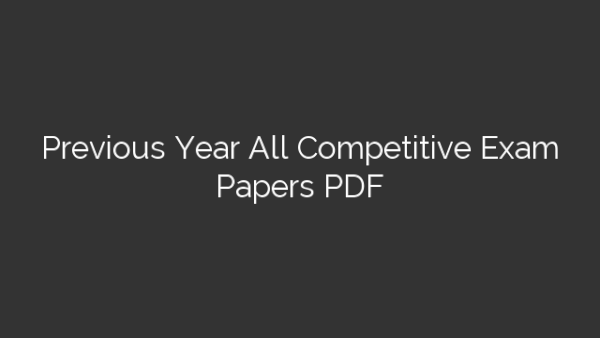 Are You Searching For Previous Year Competitive Exam Papers PDF? Here we’ve Uploaded All Previous Years exam PDF Conduct by Government & Private sector. 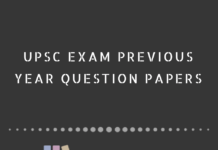 This post contains links for free download of official Gov question papers from Many Past Years Like GPSC, UPSC, SSC, GSSSB, GWSSB, RRB, HIGH COURT, RMC, VMC, BMC, GMC, GSECL, PGVCL, MGVCL,DGVCL, UGVCL, GSSCL, SPIPA, IB, GSEB, GMB, MTS, CRC, PSIRB, GPSSB, GSRTC, GIDC and Many more Competitive Exam Conducted By Gujarat & Central Government. Previous Papers Of All Examinations Are Available On Our Site. We Update Previous Exam Papers Of Government Jobs And Entrance Examinations. Candidates Are Searching Previous Question Papers And Model Papers After Completion Of Application Process. We Provide All Sample Examination Papers. You Can Get Any Type Of Model Question Papers In Our Site. We Can Estimate Difficulty Level of Exam through Previous Question Papers. Here You Can Find Question Papers With Answers. If Students Are Finding It Hard In Searching For Previous Year Exam Papers PDF, Notes OR MATERIALS In Online Then HIRENSIR.COM Is The Right Place. We Provide All Entrance Exam Previous Year Question Paper. Here We Update All Exams Question Papers, Placement Papers, Sample Papers, Previous Papers. So Check Our Site Regularly.